Here are some results so far of what we’ve found when we analysed grade 8 students responses to our survey questions. 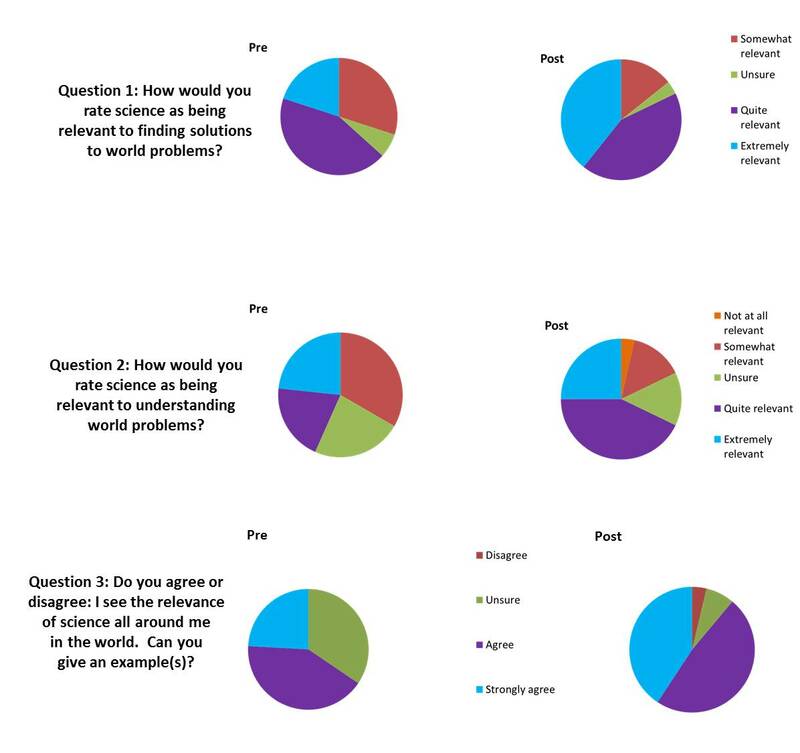 We asked students questions about the relevance of science in finding solutions to world problems, understanding world problems, and in the world around them. Pre refers to their answers before the Creative Science project, and post is after. These coloured pie charts show the shifts in the answers students were giving overall from pre to post. The results show that more students rated science as relevant in these three areas after they took part in Creative Science.